I just tried to log into Hootsuite and found this “Under Construction” page. 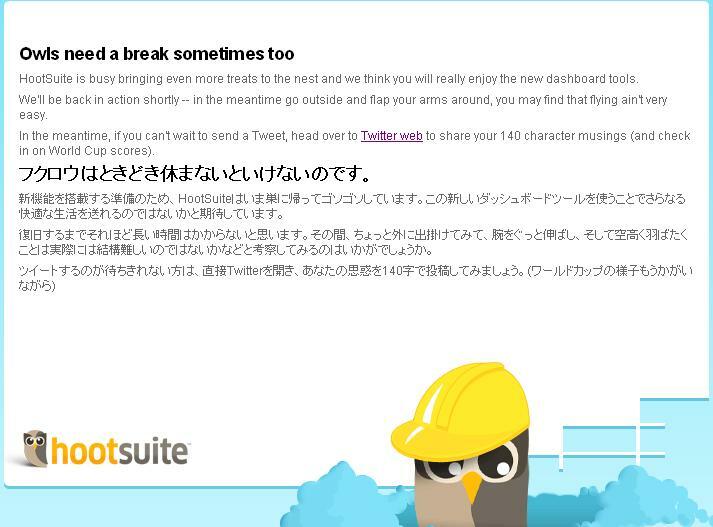 The surprise was not that Hootsuite is down, but that the message is in both English and Japanese. If you didn’t know, I spent 3 years of my life in Japan. So every time I see a Nippon connection, I’m intrigued. 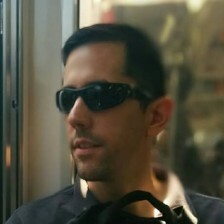 Is Hootsuite targetting the Japanese market or is Twitter that popular in Japan? Just a quick food for thought before I go to sleep. @Max, 3 good years indeed. I’m impressed that I stopped using Tweetdeck for Hootsuite.